President Maithripala Sirisena held an important discussion with a leading institute in Washington about health and food habits of Sri Lankan people and the possibility of formulating a policy to ensure healthy food intake to minimize malnutrition. This was discussed when Director General of International Food Policy Research Institute (IFPRI), Shenggen Fan called on him at the Loews Regency Hotel in New York on Wednesday (September 26). Revealing the alarming health issues in Sri Lanka such as 17% diabetics and 48% women obesity and 20% malnutrition, the President asked the IFPRI Chief to advise Sri Lankan experts on solving these issues and formulating a Health Food Policy. Readily agreeing to the request, Mr Shenggen Fan said his institute, together with Sri Lankan authorities would prepare a draft for a Memorandum of Understanding (MoU) for a programme to assist Sri Lanka on these issues. President Sirisena also pointed out the problem of food crop destruction by animals such as monkeys, wild boar, peacocks and elephants and the need to propagate healthy food habits among the people. 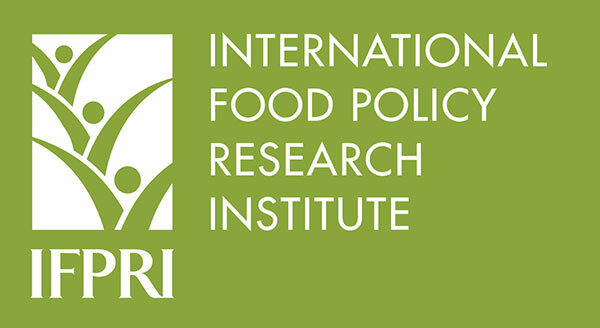 The IFPRI Director General said that his institute has vast experience in these areas and it has implemented successful programmes in several Asian and African countries. He said IFPRI would be happy to suggest programmes to solve these issues. He praised President Sirisena’s commitment to eradicate malnutrition among people, especially among children. “I am sure Your Excellency understands these complex health issues and the need for their solutions as a result of years of experience gained while holding ministry portfolios of agriculture and health in the past and Environment Ministry even now,” Mr Shenggen said. He invited President Sirisena to visit IFPRI and also attend the IFPRI Conference in Bangkok in November as Chief Guest, if possible. The President should be very cautious in this regard. Has he consulted/discussed food policy with local Sri Lankan experts who are more important and knowledgeable of local conditions ? Instead he invites the International Food Policy Research Institute to formulate a food policy for Sri Lanka. On the one hand the President says “No need of foreign interference ; Allow us to solve our problems” and in the next breath wants the IFPRI to formulate a food policy for Sri Lanka. The IFPRI claims to be “neither an advocate nor an opponent of genetically modified crops” – this is an extremely noncommittal if not an unreliable position. I urge the President to exercise extreme caution because food security and water security are two vital aspects of NATIONAL SECURITY. ‘President Sirisena also pointed out the problem of food crop destruction by animals such as monkeys, wild boar, peacocks and elephants and the need to propagate healthy food habits among the people.’ HE the President please allow more destruction to the bio-diversity in Sri Lanka. For example 16,000 acres of Wilpatuwa national forest already gone. You are only doing lip service. When habitat of these animals harmed they will come even to Colombo! Dear Mr. Michael Fernando, I agree 100% with your comment. I am Sure even in King Parakumba time where we exported rice to foreign countries (interesting in Polonnaruwa where HE Sirisena hailing from) we were taking advice from USA! Pathetic isn’t it?